Eadric of Mercia: History or Calumny? Too often, when we consider Queen Victoria, we consider the Widow of Windsor dressed in black, or, if we're in a romantic mood, Albert's young bride. It's easy to forget that she was once a little girl, and a singularly isolated and put-upon one at that. One constant through her childhood, youth and young married life was Louise Lehzen. Lehzen was first her governess and protector, then her lady-attendant and only friend. Lehzen was one of the very few people around Victoria who was motivated solely for the love of and best interest of Victoria herself. In return, she has gone down in history as a strong influence on the queen during the first several years of her reign. Louise Lehzen was born October 3, 1784 to Joachim Friedrich Lehzen, a distinguished Lutheran pastor, and his wife Melusine Palm in Hanover. At birth, her name was recorded as Johanna Clara Louise Lehzen. She was the youngest of nine children. Available data indicates that family finances required her to go to work as early as possible. There is little information about her schooling, but she was reputed to be at least adequately educated, possibly at home by her father. Her first situation was that of governess to the daughter of Baron von Marenholtz in Brunswick. In this position, she was treated as a member of the family, and was valued for her knowledge, excellent character and behaviour. This period of employment resulted in excellent references. In 1818-1819, Lehzen entered the household of Princess Marie Luise Victoire of Saxe-Coburg-Saalfeld, widowed Princess of Leiningen who married Edward, Duke of Kent (fourth son of George III), to serve as governess of the princess’s 12-year-old daughter Princess Feodora of Leiningen. (Known as Victoire, the new duchess was the sister of Prince Leopold, the Prince Regent’s son-in-law.) Victoire obligingly became pregnant, and Edward was determined that his child would be born in England. The household (including a midwife) was moved to London when Victoire was almost due to give birth. Her son Charles (Carl), now Prince of Leiningen, had to stay behind. Princess Alexandrina Victoria was born in Kensington Palace May 24, 1819, fifth in line to the throne. She was not yet considered a real contender for the throne, as George III was still living and had three living sons ahead of her father. (Princess Charlotte, daughter of the Prince of Wales, had died at age 21 in 1817.) However, she was ahead of two uncles, younger than her father, who were eligible for the throne: Ernest, Duke of Cumberland, and Adolphus, Duke of Cambridge, both of whom had sons named George close in age to Alexandrina. The birth of Alexandrina Victoria stirred up a great deal of bad feelings between the Prince Regent, her father and the other brothers, resulting in Edward and his family being somewhat isolated from the royal family. This, in turn, allowed the child’s parents, and in particular her mother, to have greater opportunity to make their own decisions concerning her care. Edward died in January 23, 1820, leaving his wife as sole guardian of Alexandrina, an unusual arrangement. His friend, Captain John Conway, was one of the executors of Edward’s will and became comptroller of his widow’s household. When George III died January 29, 1820, his eldest son George, Prince of Wales and Prince Regent, became king as George IV. Neither he nor his next two surviving brothers had living children, and the little girl was now fourth in the succession. George IV resented that she was potentially an heir to the throne as he intensely disliked the Duke and Duchess of Kent and Prince Leopold, and preferred that his niece Alexandrina live in seclusion. As when her first husband died, the Duchess of Kent inherited debts so she and her children were virtually destitute. The Duchess of Kent was reliant on her brother Prince Leopold, his man of business Baron Christian Stockmar, and Captain John Conroy. While Leopold, and Stockmar, assumed direction of the duchess’s affairs, they were frequently absent due to political matters. 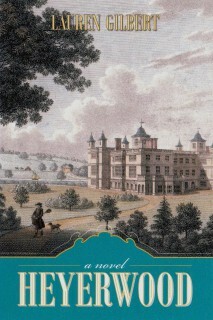 As a potential heir to the throne, Alexandrina Victoria needed to stay in England. Leopold helped the duchess get permission to have Edward’s rooms in Kensington Palace, gave her an income, and helped her get loans to establish her household. Conroy stayed with the household, and the duchess became very dependent on him. When Conroy became comptroller, he took control of all of the finances for Duchess of Kent and her daughters. Neither George IV nor any of the royal family provided any financial assistance. (George IV basically snubbed the child and her mother, and would have been delighted had they moved to Germany as dependents of Prince Leopold.) While in Kensington Palace, Conroy met and befriended Princess Sophia, George IV’s sister. It is believed Conroy guaranteed the Duchess of Kent’s debts (which were huge) with his own fortune and kept her creditors at bay in exchange for the duchess’s promise of reimbursement when her daughter inherited the throne. (Obviously, they were playing a long game.) He also acted as her secretary and general factotum. The Duchess of Kent was determined to devote herself exclusively to the raising of Alexandrina. Under the “Kensington system,” Alexandrina was never allowed to be alone; she slept in her mother’s room, she was never allowed to talk to anyone without a third party present (usually her mother or Lehzen), and was continually monitored. She was isolated from the outside world. She had only occasional visits from children from outside of the household. Her sister Feodora was her only friend, and the sisters were very close in spite of the age difference. Household rules required that employees not maintain diaries or mention household matters in correspondence (Lehzen complied). Conroy’s family was in the household, and his children, particularly his daughter Victoire who was about Alexandrina’s age, were thrust on her frequently. She did not like or trust Victoire (or anyone connected to Conroy) and deeply resented having his family forced on her. When Mrs. Brock, Alexandrina Victoria’s nurse, was dismissed in 1824, Lehzen became governess to Alexandrina Victoria (at age 17, apparently Princess Feodora no longer needed a governess). The Duchess of Kent and Conroy, her comptroller, appointed her to this position because they assumed, as a dependent in a foreign country, she would be submissive and obedient to their instructions. Lehzen read to Alexandrina, and worked hard to engage her attention on her studies. Available data indicates that Lehzen was considered stern in appearance (pictures show an attractive woman) and quite disciplined; young Alexandrina was in awe of her new governess. Sources indicate that Lehzen gave Alexandrina a good grounding in the basics. More to the point, Lehzen worked with the Duchess of Kent, and became extremely close to Alexandrina. Lehzen and Alexandrina spent a great deal of time alone. The education envisioned by the duchess (and Conroy) was not the education of one expected to rule a kingdom, but was similar to that of the duchess herself or any other well-born girl, emphasizing accomplishments rather than real knowledge. Lehzen avoided the infighting of the household and focused on Alexandrina. She was firm with the child, and earned her respect. She devoted herself to Alexandrina; the two spent hours together, reading, making dolls (dressing them, naming them and imagining lives for them), forging a closeness that resulted in Alexandrina considering her a second mother. It speaks volumes for Lehzen’s tact and discretion that she outlasted George IV’s threat to send her back to Germany, avoided arousing the jealousy of the Duchess for her closeness to the child and avoided (for the most part) hostilities with Sir John Conroy. It seems clear that Lehzen’s primary functions were basic education and personal care for the child. It’s to Lehzen’s credit that, working within the “Kensington system”, she was able to meet the Duchess’s requirement that Alexandrina never be left alone without incurring Alexandrina’s resentment. Her loyalty to Alexandrina, and Alexandrina’s trust in her, became absolute. When Alexandrina Victoria became undoubted heiress to the throne, George IV grew concerned about her education. Alexandrina spoke German with her mother and Lehzen and knew English. In 1825, he requested that Parliament grant an additional 6000 pounds per year each to Alexandrina and to her cousin George Cumberland specifically for their education. In 1827, George IV appointed Rev. George Davys to be Victoria’s tutor, at which point her more formal education began. His lessons included religion, ancient history and Latin. It’s important to note that Alexandrina had other tutors (she was taught French and Italian, penmanship, dancing, piano and singing; she was taught to draw by Richard Westall, R.A., and enjoyed mathematics). At the request of his sister Princess Sophia, George IV made Lehzen a baroness in the kingdom of Hanover, to reconcile Lehzen to this appointment. (Captain Conroy became Sir John Conroy, Knight Commander of the Hanoverian empire, at this time as well, also at Princess Sophia’s request.) There are suggestions that Lehzen’s elevation was designed to eliminate “commoners” from serving the princess, as well as to ameliorate any disappointment. Lehzen remained with Alexandrina as lady-in attendance, and cooperated with Rev. Davys and the other tutors. Princess Sophia had previously given Conroy an estate worth 18,000 pounds in 1826. Alexandrina experienced a great loss when Feodora married Ernst, Prince of Hohenlohe-Langenburg, in 1828. (Feodora was eager to leave Kensington Palace and Conroy.) Alexandrina and her sister remained close throughout their lives. 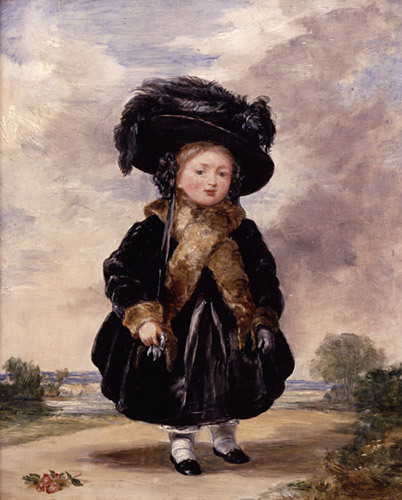 When Alexandrina Victoria reached the age of 10, she became known as Victoria. During these years, as the Duchess became more dependent upon him and he obtained more and more authority, Sir John Conroy became more overbearing and arrogant, looking for slights and determined, with the Duchess, to control Victoria. George IV died June 26, 1830 and was succeeded by his brother William, who reigned as William IV. William and his wife Adelaide had always been fond of Victoria. Unfortunately, the duchess and Conroy immediately created friction and bad feeling by demanding more money, more prestige, formal recognition of Victoria as heir apparent, and that the duchess be made her regent. These demands offended William IV, and made him suspicious not only of the duchess and Conroy, but of Victoria herself. He was not comfortable in his role as king, preferring a simple life, and found the duchess and Conroy a great and perpetual vexation. The Duchess of Kent, in her turn, prevented Victoria from participating in the coronation procession and ceremony. The duchess and Conroy continued their campaign to control Victoria. The duchess was determined to be appointed regent, in the event Victoria was under age when the king died, while Conroy had ambitions to be Victoria’s personal secretary and to have control over her, her household and her money. Conroy bullied the household, acting as master. Even as they quarrelled, the duchess did not prevent his domineering over Victoria. Victoria grew to hate Conroy and to deeply resent her mother for allowing him to abuse her. This resentment caused Victoria to withdraw into herself and created an estrangement between Victoria and her mother, long before the duchess was aware of it. Victoria was isolated except for Lehzen. In 1835, when Victoria was 16, she became ill typhoid and almost died. William IV was frail, and there were fears of his sanity. In an effort to establish his position firmly, Conroy went to Victoria as she lay extremely ill and tried to browbeat her into appointing him her personal secretary. When she refused, he brought her mother in to support his demands which Victoria continued to withstand. Angry and frustrated, Conroy apparently raged at both Victoria and Lehzen, for not giving in to his demands. This episode seems to have hardened her determination to stand her ground. She also began to read and study more on her own, preparing for her future. Even though her mother and Conroy continued their efforts, they were unable to shake her. Now in her teens, Victoria knew her marriage was an issue of concern and speculation. At one point, she had said she would not marry, but it was considered essential that she marry a suitable consort. William IV favoured a match with her cousin George Cambridge and, in 1833, brought George and other potential acceptable suitors together at a ball for her birthday (she was 14 years old). German cousins also began appearing for consideration. Her mother and her Uncle Leopold were in favour of her marrying her cousin Albert of Saxe-Coburg-Gotha. She was in no hurry to decide. William IV was determined that he would choose a husband for Victoria and settled on Alexander of Orange, younger son of the Prince of Orange, and arranged for Alexander and his brother to come to England to meet Victoria in 1836. Unfortunately for the king’s plan, Victoria did not take to Alexander, especially in comparison to Albert and his brother Ernest, who met Victoria a short time later. Their visit lasted 3 weeks, at the end of which Victoria wanted Albert to be her husband, even though nothing was discussed or settled at the time. Lehzen and her Uncle Leopold were her only allies through this year, as her mother and Conroy continued their program of bullying and keeping Victoria under their control and badgering the king and court to acknowledge Victoria’s status. William IV was bitterly aware of the Duchess of Kent’s ambitions to be regent and was determined to live until Victoria was 18 years old, and could inherit the throne without a regent. Victoria turned 18 on May 24, 1837. Despite being watched, she managed to meet with Lord Liverpool to discuss her situation. She also had the benefit of counsel from Baron Stockmar, sent by her Uncle Leopold to advise her. As always, Lehzen was present to support and encourage her in her stand against Conroy’s and her mother’s machinations. William IV died June 20, 1837, succeeding in thwarting the duchess’s (and Conroy’s) ambitions. When the princess took the throne as queen, she took the name Victoria. Her first act, even before being crowned, was to have her bed removed from her mother’s room to her own room. Victoria relied on Lord Melbourne and on Lehzen for support. When Victoria moved to Buckingham Palace, Louise Lehzen accompanied her, acting as an unofficial personal secretary and unofficial head of Victoria’s household, with rooms adjoining the queen’s apartments. (Lehzen refused an official status.) Her mother had a suite of rooms much further away. Conroy was dismissed from Victoria’s household, but continued to handle the duchess’s affairs. He was around on the duchess’s business but had no standing or influence at court, as Victoria banned him from approaching her. The duchess was present for the coronation but Conroy was not allowed to attend. Victoria acknowledged Lehzen during her coronation, and kissed Queen Adelaide and shook hands with her mother after the ceremony. Conroy was made a baronet in 1837, but the government (under Prime Minister Robert Peel) refused to create him an Irish peer. Conroy resigned his position with her mother in 1842 and left court. Victoria’s relationship with her mother improved slightly but remained distant due in part to the duchess’s continuing demands and complaints. Albert got along with the Duchess of Kent, and supported a rapprochement between her and her daughter; he did not approve of Victoria’s intimacy with a servant and encouraged her to improve her relationship with her mother. He particularly resented Lehzen’s control spreading into various areas of the household over the heads of those appointed, especially the nursery. He had definite ideas of how he wanted his children raised, and they did not include Lehzen. A power struggle ensued between Albert and Lehzen, which was only resolved when Victoria’s and Albert’s first child became ill and almost died in the care of Dr. John Clark (court physician and part of the Flora Hastings case) who was summoned by Lehzen. Torn between Albert and Lehzen, Victoria finally conceded to Albert and Lehzen was let go as a result of this situation. Marriage of Queen Victoria and Prince Albert. Engraving from the book "True Stories of the Reign of Queen Victoria"
Lehzen left court in September 1842, ostensibly for her health, and returned to Germany with a generous pension. She lived with her sister, until her sister’s death, after which she continued to support her sister’s children. In 1858, Victoria was in Hanover and Lehzen was on the train platform, waving as Queen Victoria’s train passed, which the queen acknowledged. Much has been made of her estrangement from Queen Victoria but, in fact, she remained in regular correspondence with the Queen, and was visited by the Queen on a couple of occasions. Louise Lehzen died September 9, 1870 in Buckeburg, Schaumberger Landkreis, Lower Saxony and was buried in the Jetenberger Cemetery. On her monument (raised by Queen Victoria), her name was shown as “Louise Clara Johanna von Lehzen.” Victoria did not significantly repair her relationship with her mother until after the death of Sir John Conroy March 2 1854, long after Louise Lehzen had left court. It is worthy of note that, after the death of her mother, Victoria did not seem to have another intimate nurturing female relationship (other than with her daughters, which is different-she was queen and mother in those relationships). She relied on Albert for support and security, then John Brown, and then Abdul Karim (her Indian servant known as the Munshi). After all is said and done, Lehzen was her safest and most trusted female friend and mentor. Erickson, Carolly. HER LITTLE MAJESTY The Life of Queen Victoria. New York: Simon & Schuster, 1997. Gill, Gillian. WE TWO: Victoria and Albert: Rulers, Partners, Rivals. (Kindle edition.) New York: Ballantine Books, an imprint of the Random House Publishing Group, 2009. Images are all in the public domain, found in Wikimedia Commons. Express.co.uk. “The Women Who Really Raised The Royals” by David Cohen. November 16, 2012. Here. FamPeople.com. “Louise Lehzen, biography.” Here. FindAGrave.com. “Louise Von Lehzen.” Posted by Dieter Bierkenmaier, April 27, 2013. Here. Google Books. Lee, Sidney, Ed. DICTIONARY OF NATIONAL BIOGRAPHY. Supplement Vol. 3. “Victoria,” Pp. 389-500. New York: Macmillan Co. 1901. Here. Google Books. ENCYCLOPAEDIA BRITANNICA A Dictionary of Arts, Sciences, Literature and General Information, 11th Edition, Vol. 28. “Victoria, Queen” by H. CH. (Hugh Chisholm). Pp. 28-37. New York: Encyclopaedia Britannica Company, 1911. Here. The Esoteric Curiosa. Raising A Queen; An 1840's Thumbnail Of The Initial Lady Behind The Throne Of One Of Histories Greatest Monarchs; Johanna Clara Louise Lehzen, Better Known As Baroness Lehzen, Governess, Adviser & Companion To Her Imperial Majesty The Queen Empress, Victoria! November 12, 2013. Here. Queen Victoria’s Scrapbook. A Letter to Queen Victoria from Baroness Lehzen from 1867. Here. Victorian Gothic. “Louise Lehzen, Governess to Princess Victoria” April 9, 2011. Here. Victoriana Magazine on-line. “Queen Victoria-A Very Naughty Princess.” July 13, 2014. Here. Web of English History. “Louise Lehzen (c1784-1870)” by H. G. Pitt, 1993. Here. Web of English History. “Sir John Ponsonby Conroy, first baronet (1786-1854)” by Elizabeth Longford, 1993. Here. Lauren Gilbert has a bachelor's degree in English, and a life-long love of reading. Her first published book, HEYERWOOD: A Novel, was released in 2011. Her second, A RATIONAL ATTACHMENT, is due out soon. She lives in Florida with her husband Ed. Visit her website here for more information! In March of 1330, a parliament was held at Winchester. As always since 1327, the young king Edward III officially presided, but the real power lay with his regents: his mother, Queen Isabella, and her favourite & purported lover, Roger Mortimer, 1st Earl of March. The men assembling in Winchester fell into two categories: those who supported the regents and those who didn’t. The king himself belonged among the latter, but as things stood, our seventeen-year-old king had no option but to smoulder and bear it—for now. Among Mortimer’s more vociferous enemies were Henry of Lancaster, cousin to the king, and Edmund of Woodstock, Earl of Kent and the king’s uncle. When the Winchester parliament opened, Edmund was not among those present. He was under arrest—for treason. Let us take a few steps back: Edmund of Woodstock was born in 1301, the second son in Edward I’s second marriage. As can be deduced from his name, he was born at the palace of Woodstock, and we can assume there was quite some rejoicing at his birth—Edward I now had three sons to safeguard his bloodline. When Edward I died in 1307, Edmund’s half-brother, Edward II, became king. The age-gap between the new king and his much younger brothers was such that we can assume their relationship was somewhat distant—Edward was busy governing his kingdom and enjoying the freedom his new role brought with it and likely had little time for Edmund and his brother Thomas of Brotherton. Edward I had made plans for his two younger sons, but had not followed through on them prior to dying. His intention had been to settle an earldom each on his sons, but early on in his reign Edward II decided to invest his beloved favourite Piers Gaveston with the earldom of Cornwall, which was one of the titles earmarked for his brothers. Edmund’s mother seethed, Edward likely shrugged—but as his brothers grew older he invested Thomas as Earl of Norfolk and granted Edmund sufficient land to keep the lad in style. Where Thomas of Brotherton rarely emerges from the shadows in what documents we have, Edmund has left a substantial impression. He quickly proved himself a capable servant of his king, especially during those tumultuous years when Roger Mortimer and Thomas of Lancaster led the baronial revolt against Edward II in 1321-22. Edmund was in the thick of things—all the way from the initial conflict at Leeds Castle to the signing of the execution order for the captured Thomas of Lancaster. 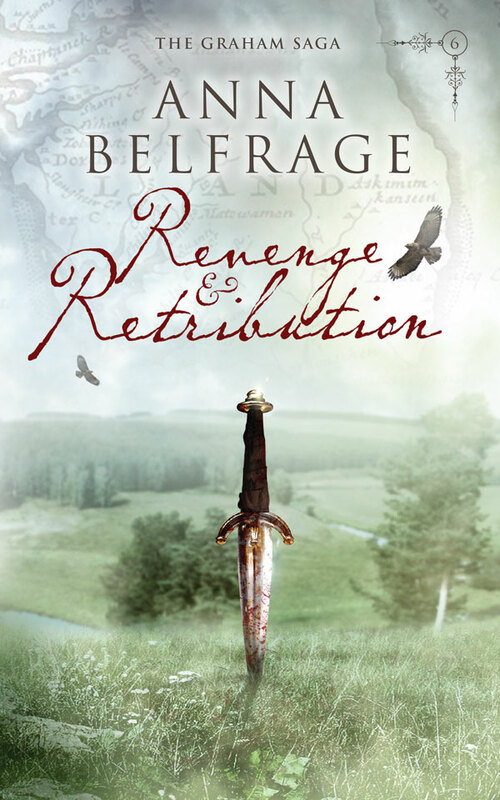 The baronial rebellion was quashed, Mortimer was thrown in the Tower, and Edward was very pleased with his young brother, who emerged from the fray as the Earl of Kent and holder of substantial lands in the Welsh Marches. Our Edmund had every reason to be grateful to his royal brother—except, of course, that where Edmund got some land, Edward’s new favourite, Hugh Despenser, got much, much more land. In fact, so generous was the king to Hugh that he had an annual income almost four times higher than Edmund’s. Not something that pleased Edmund—or anyone else, to be honest, seeing as the English barons were getting very tired of the grasping Despenser. In the aftermath of the baronial rebellion, Edward II, together with his trusted advisors Bishop Stapledon and Hugh Despenser, implemented what is best described as a dictatorship. Anyone suspected of colluding with the rebels risked losing everything they had, including their lives. Their paranoia increased tenfold when Mortimer managed to escape from the Tower and flee to France. Suddenly, the baronial opposition had a leader again, and the more heavy-handed Edward II and Despenser became, the more attractive the option of joining Mortimer became. 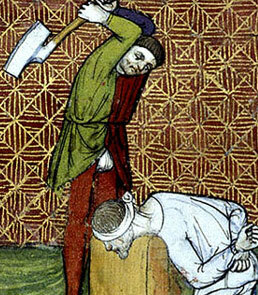 Not only did Edward manage to aggravate his barons. He also alienated his wife when he deprived Queen Isabella of her dower lands. Isabella was closer in age to Edmund than to her husband, and seeing as she was drop-dead gorgeous and Edmund was just as mouth-wateringly handsome, I imagine these two shared a common admiration for each other. Besides, they were cousins, grandchildren to Philip III of France. At the time, being French to any degree was not an advantage in England: yet again, England and France were at war, this time over Gascony. In 1324, Edmund was sent to France to attempt a diplomatic solution, and when that failed he was put in charge of defending Gascony, an almost impossible task seeing as Edmund lacked both men and means. But he did his best, holding out until late September of 1324 before he was forced to surrender and agree to a six-month truce. 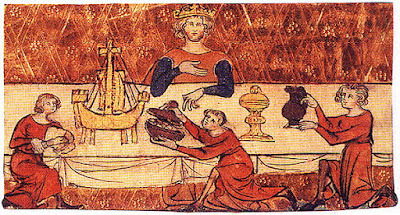 Edmund chose to remain in France. Maybe he preferred not to face his brother’s wrath at having failed him in Gascony, or maybe he was sick and tired of dancing attendance of the royal chancellor, Hugh Despenser. 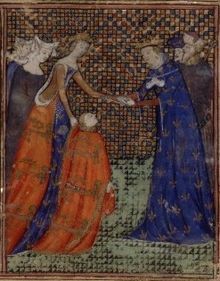 Whatever the case, he was in France when Isabella arrived in March of 1325, charged by her husband with the delicate task of negotiating a permanent truce between him and his French counterpart, Charles IV. How Isabella had managed to convince Edward to entrust her with this mission is unknown, but I suppose Isabella was smart enough to hide her anger and humiliation at being deprived of all her income while promising herself she would have revenge—some day. Whatever her feelings, she successfully negotiated a treaty with her brother Charles. All Edward II had to do was to come to France and do homage for his French lands and everything would be peachy-pie. 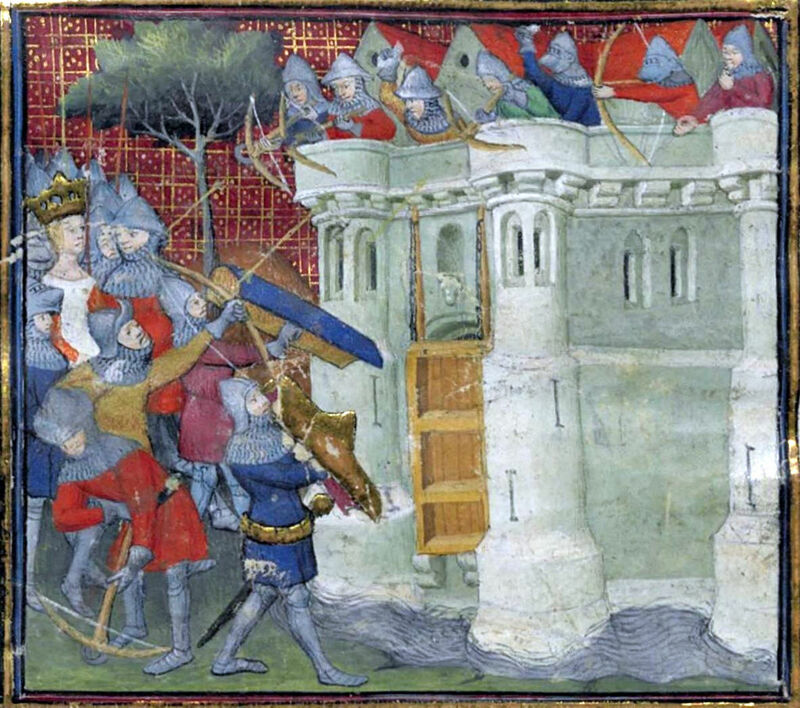 Except that Edward II didn’t want to come to France—or rather, Hugh Despenser didn’t want him to go, worried that the moment the king left the country, the baronage would rise in rebellion and kill poor Hugh. Probably a correct assessment of the sentiments of the time, and apparently Edward agreed. Instead of going himself, he sent his young son and heir, Edward of Windsor. Unwittingly, he had thereby handed Isabella the weapon with which to destroy him. Young Edward came to France, young Edward did homage, young Edward did not go straight back home as instructed by his father. Instead, he stayed with his mother, who simply could not bear to let him go. Isabella had collected several disgruntled English noblemen as her admirers, including Edmund of Woodstock. I imagine there were already whispers of invasions, of doing something to oust that despicable Despenser. When Roger Mortimer rode in to present himself to Isabella, the invasion had found its leaders: the extremely capable and ruthless combo of Isabella and Mortimer. Mortimer’s and Isabella’s invasion of England was a resounding success. Soon enough, Hugh Despenser was dead and Edward II was locked up in Kenilworth, his son crowned as Edward III in his stead. Edmund expected to be part of the inner circle that guided his young nephew, but neither Isabella nor Mortimer were all that interested in sharing their power. This did not go down well with Edmund, who was also struggling with feelings of guilt related to his deposed brother. That guilt became a crushing burden when it was announced in 1327 that their former king, Edward of Caernarvon, had died while in captivity. In 1328, Edmund joined Henry of Lancaster’s rebellion against the regents, demanding that Mortimer be set aside in favour of the true peers of the realm. Mortimer acted with speed and determination. Edmund, knowing just how efficient Mortimer could be, abandoned Lancaster’s cause and returned to the royal fold just before Lancaster’s final humiliation. By now, Edmund had acquired the reputation of being a weather-vane: first he’d supported his royal brother, then he’d joined Mortimer and Isabella, then he’d thrown his lot in with Lancaster only to change his colours yet again when things got sticky. Not a man to count on, one could say, even if Edmund would probably have disagreed, protesting that he’d been driven into rebellion against his brother and king by the grasping and conniving Despenser. Whatever his reputation, Edmund was concerned with other matters: there were rumours that his brother had not died but was still alive behind the thick walls of Corfe Castle. Disenchanted with Isabella’s and Mortimer’s continued rule, Edmund chose to investigate further. One little piece here, another there, and soon enough Edmund was convinced his brother was alive. If so, what better way to right the wrongs he’d done his brother than to spring him from his prison and help him retake his throne? This was the plot Mortimer uncovered early in 1330, his agents presenting him with a letter Edmund’s wife had written on his behalf to the imprisoned king. (In itself interesting: does this mean Edmund did not know how to write or was it a matter of penmanship?) Being somewhat gullible, Edmund had handed the sealed missive to an intermediary who’d promised to smuggle it into Corfe and hand it to the unhappy erstwhile king. Instead, the rascal gave it to Mortimer, and so Edmund was arrested and brought before parliament where his confession was read out loud. There was only one verdict: death. Appalled, Edmund threw himself on his nephew’s mercy, begging piteously for his life. He’d do anything—anything!—to prove his loyalty. He’d even walk all the way to London with a noose round his neck to atone for his actions. But there was nothing Edward III could do. Mortimer had seen to that, making it impossible for Edward to pardon his uncle without implicitly admitting there could be some truth in Edmund’s assertions that the former king was alive. Whether or not Edward II was alive is, as per some historians, an open question. The men named as co-conspirators included several barons and bishops, men who would be in a position to know—and surely they’d not risk Mortimer’s displeasure for a dead man? We will never know, of course. It does, however, seem probable that Mortimer very much on purpose fed Edmund the little bits and pieces that convinced him his brother was alive, thereby luring the earl into treason. Ultimately, Mortimer’s behaviour in this matter would lead to his own death: the king, disgusted at having been duped into signing away his uncle’s life did not forgive. Or forget. On a cold March morning in 1330, Edmund of Woodstock was led out to meet his maker. The executioner had done a runner, refusing to soil his hands with the blood of a man condemned for trying to help his brother. None of the assembled men-at-arms volunteered in his stead, neither did their captains. Poor Edmund shivered in only his shirt as the hours passed and no one was found willing to strike off his head. At long last, a condemned man undertook the task in exchange for a reprieve. The earl knelt. The axe fell. The severed head was held aloft, accompanied by the traditional cry of “behold the death of a traitor.” Usually, the crowd would cheer. This time, no one did. Making sense of the past is a challenging enterprise, especially when historians have generally concluded that a man or woman was demonstrably a villain, or when we are left with little actual reliable information because the person lived so long ago. In the case of Eadric of Mercia, a.k.a. Eadric “Streona,” both elements are involved. However, I would suggest that another factor is involved in a realistic assessment of this controversial figure: the potential bias of the chroniclers who have provided the only narratives about him. A little historical background might be helpful. King Edgar (959-975), had been very generous to the Church, and the ecclesiastical land holdings had increased substantially during his reign. That meant that there were potentially many more armed men available to do the bidding of the church authorities, and fewer who would be required to answer the call of the king or his representative and join the citizen army or fyrd. In Mercia, a man named Aelfric Cild served as ealdorman for only two years, and in 985 he was convicted of treason and exiled. The current king, Aethelred II (978-1016), did not replace him for over twenty years. As a result, for two decades there was no secular authority in that domain, and the Church was probably even more successful at expanding its holdings there than elsewhere. Perhaps distracted by continual threats from the Vikings, King Aethelred did nothing to curtail Church expansion in Mercia until he named the youthful Eadric to be the ealdorman in 1007. In fact, I would suggest that the king’s primary reason for re-establishing a representative in that domain was to recover lands and men which had been lost to the Church, and to reassert a secular authority there. He needed another strong ally. Eadric began to get approval of charters--essentially land transfers--with the consent of the witans, which were assemblies of powerful men headed by the king himself. Presumably, the ealdorman was doing all of this with the encouragement of the king. Of course, churchmen were outraged to see lands and men being returned to private hands at the expense of the Church. Holdings in both Mercia and in nearby areas--including within the diocese of Worcester--were lost. The young Eadric was not the only official from that part of the country accused of stealing from the Church. 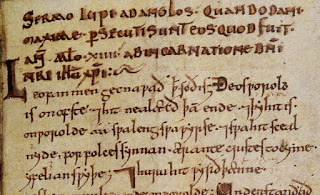 Leofwine was the ealdorman of Hwicce, a domain subservient to Mercia which included Worcester itself. He--and his sons--were also accused of despoiling the Church for their own benefit. And, like Eadric, Leofwine was probably acting with the approval of the king. Unfortunately for Eadric’s reputation, most of the clerics who wrote the chronicles--the thin narrative accounts which provide us with virtually the only historical information we have about the early 11th century in England-- lived and worked at Worcester Priory. The one narrative roughly contemporary with Eadric was a part of what we now call The Anglo-Saxon Chronicle. While we don’t know who the writer was who made the earliest scandalous accusations about Eadric, it wouldn’t be shocking if he turned out to be a cleric at the Worcester Priory. 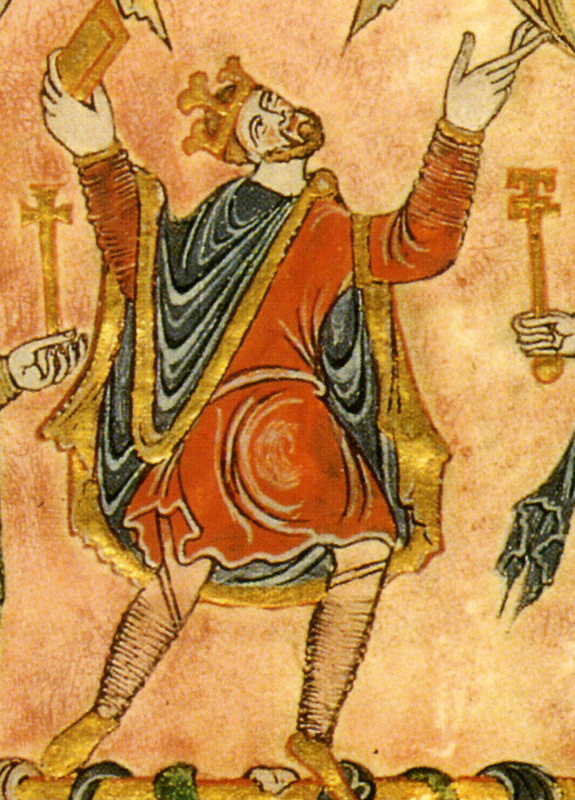 He accused Eadric of being responsible for the murders of two thegns from the Daneland, although it was Edmund, the heir to the throne, who directly benefited from their deaths, defying his father by illegally marrying the widow of one of the victims and taking control of that family’s estates. The writer blamed Eadric for the killing of the ealdorman Uhtred, although two other accounts gave responsibility to an enemy of Uhtred’s family. And of course he reviled Eadric for betraying the English army and leaving the battlefield at Assandun , which gave Cnut the victory--and ultimately the throne of England. That may be the only factual accusation that this chronicler made about Eadric. Who else contributed elements of the Eadric story? 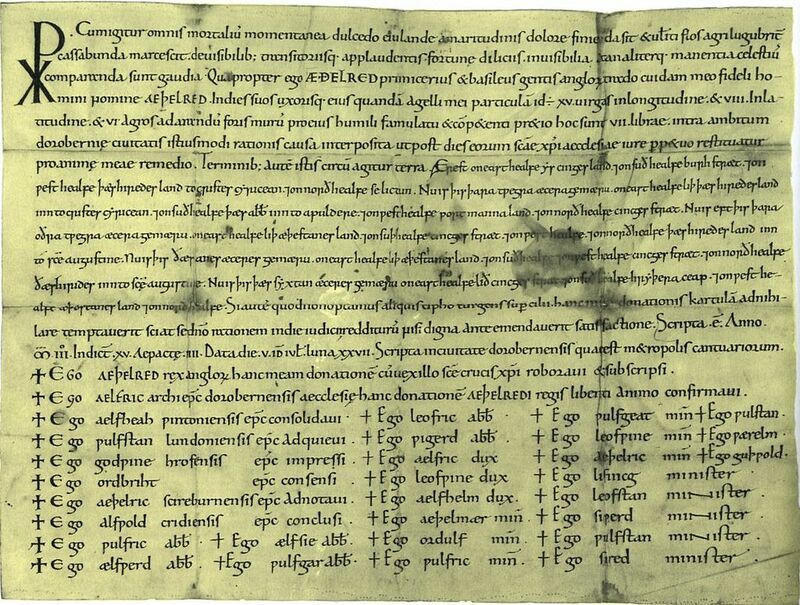 A monk named Hemming, who lived at the Worcester Priory around fifty years after the death of Eadric, wrote his Cartulary summarizing the property losses suffered by his diocese at the hands of powerful people, and included both Eadric and Cnut among the evil takers of Church lands. He likely originated the appellation Eadric “Streona” (the grasper or taker) as he has been named ever since. One should remember that in this document intended to support land claims of the Church, he provided between twenty-five and thirty fraudulent land charters to buttress his case. Two other monks from the area added to the condemning narrative. 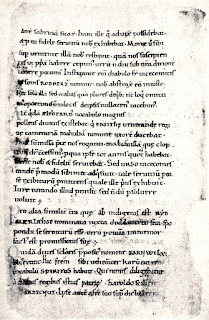 John of Worcester, living at the priory, wrote about Eadric being responsible for the assassination of Ealdorman Aelfham while they were hunting together. 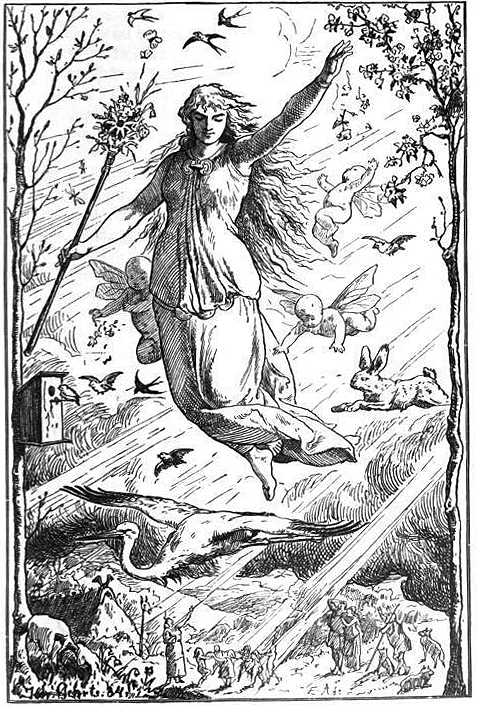 He provided this story, as well as other condemning descriptions, approximately one hundred years after the death of Eadric. 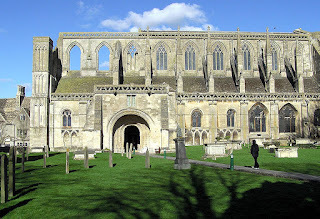 William of Malmesbury, a monk living in the early twelfth century at Malmesbury Abbey, from a neighboring diocese which probably also lost property to the ealdorman, railed against Eadric’s calumny and deceptions. 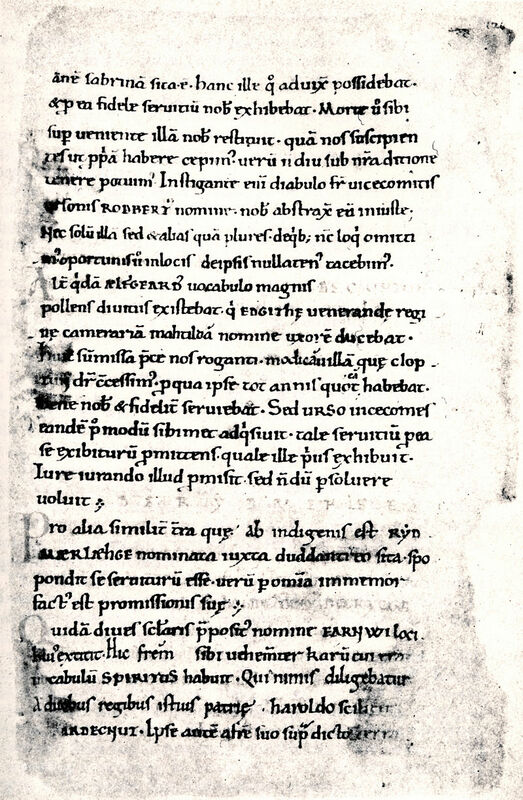 In fact, some have suggested that a denunciatory saga about Eadric, presumably produced at the Worcester Priory, existed during the eleventh century, but no copy has ever been found. Whatever were the sources of these stories, Eadric was reviled by churchmen from that small area of England, and the chances that his role in the history of the period would be presented without malice or distortion are pretty small. A little information about an eminent churchman may be instructive in this regard. The Bishop of Worcester Wulfstan, for much of his life also Archbishop of York, was one of the most highly regarded clerics of his day. He is most famous for his homily entitled Sermon of the Wolf to the English, in which he identified the attacks by the Vikings as God’s punishment for the lax ways of the English people. 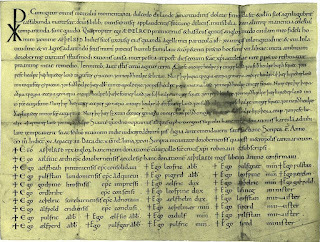 However, he also created from whole cloth two non-existent historical works, Laws of Edward and Guthrum and the Canons of Eadgar because they were useful to him as precedents from the past. He had points to make, and he had no problem fabricating early writings to support them. I do not believe that he was the only cleric to be “creative” in his writing. In fact, he may have been more honest and reliable than many of his contemporaries, who were more concerned with defending the Church than they were with providing completely factual narratives. All of these chroniclers were among the very few literate people in England during this period, and their writings help us to tentatively add to what would otherwise be an almost empty slate. We can be grateful for their accounts, no matter how flawed they might be. However, we cannot forget that these churchmen had powerful agendas to further, some ecclesiastical, some political, and some personal. Is it conceivable that a collection of Christian monks were responsible for the same sort of distortions involving Eadric of Mercia as Shakespeare committed in his portrayal of Richard III? The Bard did a wondrous hatchet job merely because he wanted the favor of Queen Elizabeth, whose ancestors were the Tudor adversaries of Richard III, and the House of York. The recent discovery of Richard’s remains has confirmed that he was not significantly deformed physically, and it’s almost certain that Shakespeare’s portrayal was less than accurate in other ways as well. Ironically, the people who were most hostile toward Eadric of Mercia were the only historians whose accounts have survived. The monks, especially those from the Worcester diocese, saw Eadric as an enemy of the Church and its interests, and we should expect that they savaged him and his reputation in retribution. As someone suggested on a history blog a few years ago, “History is not written by the winners but by those who know how to write.” Perhaps they won’t--or at least shouldn’t--have the last word. 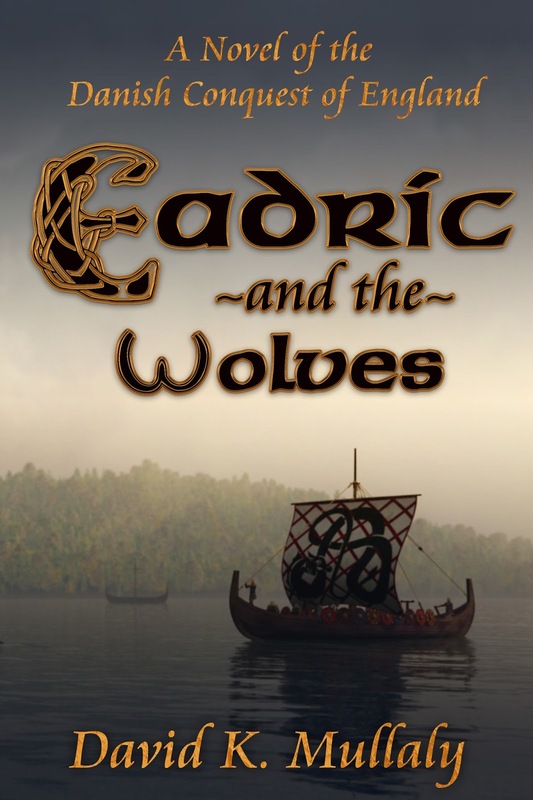 David Mullaly’s first book is Eadric And The Wolves: A Novel Of The Danish Conquest of English. He bought and sold Viking artifacts for a dozen years, and he lives in Annapolis, Maryland. However, he remains desperately in love with English history, and is fascinated by what we know and what we don’t know about the Viking Age, especially in England and Ireland. 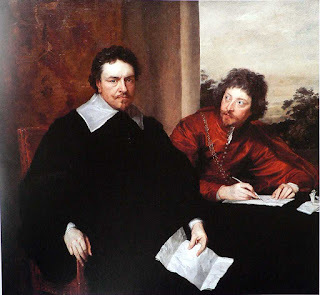 Last month, I wrote an overview of the careers of William, Archbishop Laud (1573-1645) and Thomas Wentworth, Earl of Strafford (1593-1641), who were both executed. This time I'm going to look at why the House of Commons was so determined to secure Strafford's execution. Thomas Wentworth, himself a long-serving parliamentarian, nevertheless feared absolute rule by parliament and believed in constitutional monarchy. In 1628, he was in effect the leader of the house, yet he suddenly changed sides. 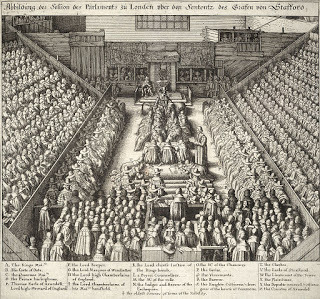 He had been part of the parliamentarian stonewall which had opposed Charles I's attempts to muzzle the commons in 1626 after the Earl of Buckingham's' disastrous war policy and the incident at La Rochelle, after which the wheels were set in motion for Buckingham's impeachment. 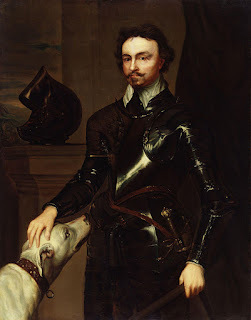 The following March parliament was recalled, and Wentworth was the man who brokered a deal by which charges against Buckingham would be dropped if Charles assented to the Petition of Right, which would, in Wentworth's words, enforce their "ancient , sober and vital liberties." When he changed sides, leading members of parliament never forgave him for his volte face, and renowned parliamentarians Eliot, Hampden and Pym in particular were very strongly opposed to him. Wentworth's character made him enemies too; he was arrogant and ruthless and a proponent of the Policy of Thorough - a belief that a higher standard of efficiency and honesty was needed to put the country in order. He was a puritan, but approved the Arminian idea of order and discipline and became a great friend of Laud's. People distrusted Laud, fearing that he was moving England back to Rome, i.e. towards Catholicism. Ergo, by association, Wentworth was distrusted too. Because he had angered parliament, he was moved by Charles I away from London and appointed President of the Council of the North. Wentworth proved to be an able administrator, but this alone was enough to secure him unpopularity in the north, where great families had hitherto enjoyed a fair amount of autonomy. Wentworth was determined to enforce respect not only for the king, but for himself as the king's representative. He set about reviving the decaying administration and was successful in making the council an efficient governing body. But he was high-handed, and through the council's efficiency the great families thus lost their power, losing any profit from corrupt practices. Furthermore, he saw to it that the Yorkshire weavers worked to rule, obeying all regulations. He would not tolerate any production of sub-standard cloth, causing production rates to slow down, and thus in effect, reducing wages. On paper, though, his appointment was a success, and Charles I was pleased. He appointed him Lord Deputy of Ireland in 1631, but here Wentworth was to make even more enemies. The previous incumbent, Lord Falkland, had been recalled and the Irish administration had deteriorated badly. The man nominally in charge was Lord Justice Kilmallock, who was being aided by corrupt Protestant colonists, the Earl of Cork and the Earl of Loftus, who were also on friendly terms with the Catholic queen, Henrietta Maria. Wentworth arrived in Ireland in 1633 and began establishing the king's authority, using the Policy of Thorough. However, influenced by the nobles Wentworth was ruining, the queen developed a dislike of Wentworth and began working against him. Wentworth built up the court of Castle Chamber and used it as a prerogative court; he fined the Earl of Cork £40,000 for corruption and dishonesty and dismissed Loftus as Chancellor with the aid of the Council of Ireland. He upset the landowners by setting up a commission to investigate defective titles and rights of ownership of land. It caused landowners to increase rents they paid to the crown, and some had to restore tithes to the Church. The official State religion was a sort of 'Calvinist Anglicanism', and there were a vast number of Scottish Presbyterians in Ulster who did not approve of bishops. In 1639 Wentworth forced the bishops of Ireland to accept the 39 Articles of the English, and he forced many Anglican ideas onto the Irish which were at odds with their Calvinist ideas. Wentworth also proved to be extremely efficient at collecting taxes, and this won him few friends, especially among the old nobles who had been making money out of Ireland; few of them sympathised with his attempts to introduce order. In 1640, Wentworth was recalled to London as his help was needed with the 'Scottish Problem'. He was made Earl of Strafford and became the king's supreme counsel. It was he who persuaded Charles to call the 'Short' Parliament, and he had meant to dominate it. It was to be his enemy, John Pym, however, who was to have that pleasure. The Short Parliament, under Pym's leadership, would vote no money for a military campaign. When it became clear that Pym was in touch with the Scots, or at least acting in concert with them, Strafford gave up any hope of a constitutional or legal solution, and at a meeting on May 5th, he urged Charles to dissolve parliament, telling him that he was "loosed and absolved from all rules of government." Upon the dissolution, three Members were imprisoned and their houses searched, mob rioting was punished by vigilante justice, and two youths were summarily hanged, one having been tortured first. When the City Aldermen declined Charles' request for a loan, Strafford committed four of them to prison and told the king, "Unless you hang up some of them, you will do no good with them." Strafford returned to Ireland and was later called back to lead the army against the Scots in the Second Bishops' War. However, the northern earls were not inclined to be led into battle by Strafford, no doubt disliking him more than the Scots whom they were supposed to be fighting. The Bishops' War was lost, and Parliament was called. It was determined to punish those responsible for Charles I's eleven years of personal rule, which meant, in effect, Laud and Strafford. The king's ministers were blamed for the defeat by the Scots, and Strafford was accused of treason because he had offered the Irish army to Charles for use against the Scots. Although he argued his defence and eliminated most of the charges against him, it was John Pym who won this particular battle. Strafford had made himself so unpopular - with the people because of his efficiency, with the nobles because of his efforts to wipe out corruption - that Pym's efforts to impeach him were supported by most people. By this time, Strafford was a hated man. The decision to impeach Strafford was one driven by personal hatred. Parliament had never forgiven Strafford for changing sides and had certainly never trusted him again. He dismissed almost all the charges against him, and still they pushed for his execution, this turncoat who had become a king's man, a traitor to their cause against the monarchy. Annie Whitehead is an historian and novelist who writes about the Anglo-Saxon era, although she has a keen interest in the seventeenth-century. 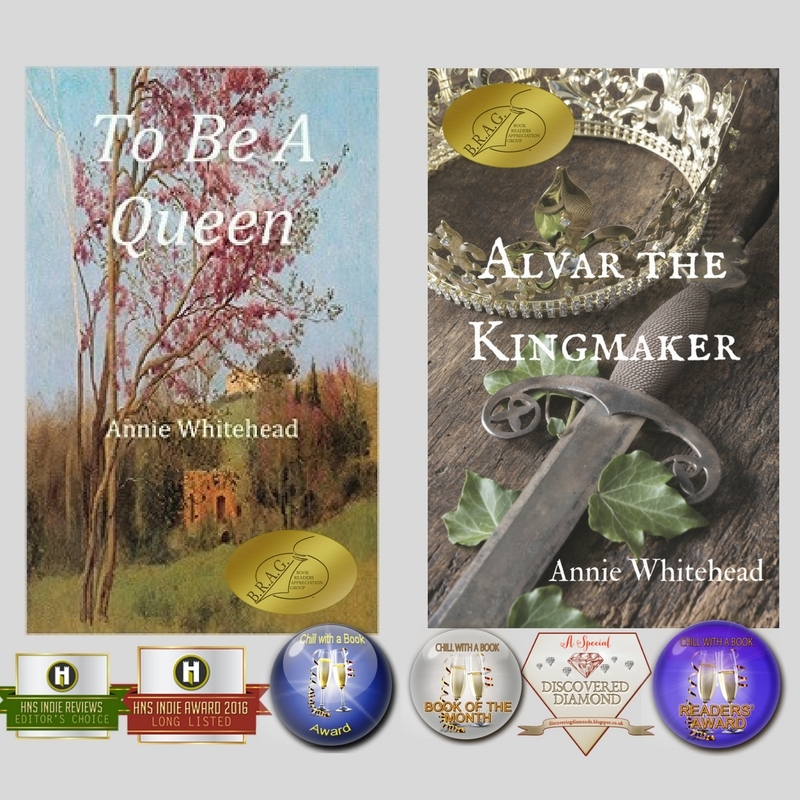 The author of two award-winning novels set in Anglo-Saxon Mercia, she was also a contributor to 1066 Turned Upside Down, a re-imagining of the events leading up to the Battle of Hastings. She is a member of the Royal Historical Society and an editor of the EHFA blog. Currently she is working on a contribution to a non-fiction book to be published by Pen & Sword Books in the summer of 2017. When I discovered the post I had planned to display on my birthday was too similar to one I had published here two years ago, I frantically searched for another event occurring on the 24th of April which readers might find equally interesting. In desperation, I researched the date on several sites including www. OnThisDay, and found an intriguing snippet there: on April 24, 1941, Prince Bernard of the Netherlands became a pilot in the RAF. I had never heard of the gentleman and would have glossed had it not juggled a personal memory. My Cleveland-born cousin Guy Patterson had joined the RCAF as a glider pilot in April, 1940. In my family, everything about Guy became a legend. He had been a musician in the 30's, a bassist in the George Duffy Orchestra, who expatriated a few weeks after his heiress wife, my godmother Helen Cooper Patterson, died of tuberculosis. Their tragic romance had a very Eddie Duchin Story tone to it. Although I knew what had prompted my kinsman to renounce his citizenship and risk his life, I wondered what might have precipitated such a move on the part of a European royal. I searched further and discovered Prince Bernard was German by birth, and in his youth had been a National Socialist. I was hooked. The more I read, the more I became convinced I had uncovered the material for a blockbuster historical novel. I did not discover until much later that a British spymaster and author named Ian Fleming had beat me to it. Prince Bernard (Bernhard) of Lippe-Biesterfeld was born in Jena, Germany, in 1911. He was the elder son of the brother of Leopold, Prince of Lippe, an independent German principality until the disasters of WWI. Bernard’s parent’s marriage was morganatic, that is a royal marriage between people of divergent social classes, which did not effect Bernard’s legitimacy but did limit him from the succession unless there were no other Lippes left. At birth, he was given the title of Count, but he was not considered a prince. That deficit was remedied in 1916, when Leopold elevated Bernard and his mother to royal status. 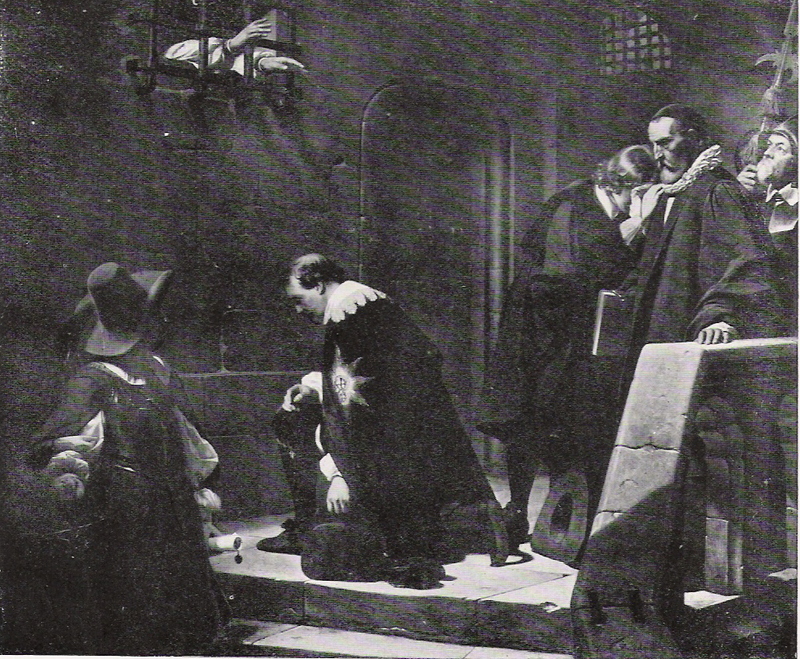 The figure at the right is his Coat of Arms. 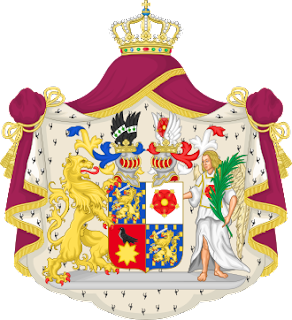 The family principality and its related revenues were lost at the end of World War I, but the Lippes were far from destitute. Prince Bernard's branch established a base in East Brandenburg in what now is modern Poland, where Bernard was home schooled until age twelve, possibly due to his fragile health. According to an obituary published in the Telegraph in 2004, his nurse was Chinese and English, and English became his first language Thereafter, he attended gymnasiums in Switzerland and Berlin before advancing to the University of Lausanne in Switzerland to study law in 1929. At some point, he studied in Munich and later transferred to The Humboldt University Unter den Linden in Berlin. At this time, his life took a turn that continued to vex him whenever his character came under scrutiny. While Bernard was a law student at Humboldt, he joined the Nazi Party and was a member of its paramilitary wing, the S.A., commonly known as the Brownshirts. He also was on the rolls of the Reiter-SS. Although he had not yet resigned his membership, he ceased his participation in the movement when he graduated and went to work for I.G. Farben in Paris in 1934. His membership in Nazi organizations during his years as a student has been one of several sources of controversy, especially since he denied them when his participation was well documented. He later excused them as necessary if he wished to earn a law degree, although he conceded that space to garage his car was a compelling perk of membership. There is some evidence he harbored a growing concern about Hitler's seizure of power well before he resigned his membership in the Nazi party. Apparently by 1935-36, his apprehensions had grown to a point where he considered leaving Europe. Acquaintances described the youthful Bernard Lippe as a nationalist but not a racist. Although he had met Hitler on at least two occasions, he was never considered a protégé. One story has Hitler referring to him an an idiot. Bernard had not spoken out publicly against Hitler at the time he formally resigned from the party in 1937, and he signed the letter 'Heil Hitler.' When asked about it later, he confessed to being an pragmatist, not a Nazi. In 1936 while attending the Olympics, Bernard met Princess Juliana of the Netherlands. 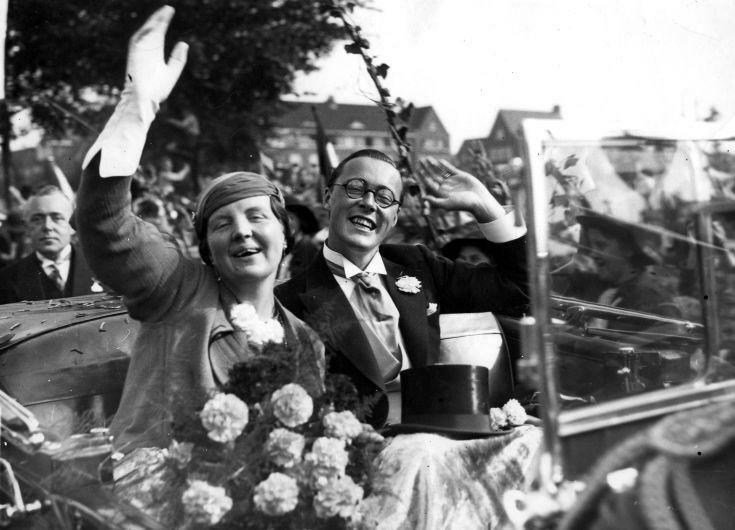 After serious vetting by Queen Wilhelmina, he and Juliana became engaged. Not all Dutch were enthusiastic about the match, but there was a paucity of suitable Protestant royals on the horizon, and the forceful queen had her way. She is quoted as stating: "This is the marriage of my daughter to the man she loves...not the marriage of the Netherlands to Germany." Following the engagement, Bernard became a Dutch citizen and changed the spelling of his names to the Dutch versions. He avoided speaking German on public occasions. Living in the Netherlands, he was comfortable going public with his criticism of Adolf Hitler. 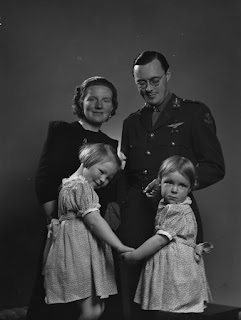 Once married to Princess Juliana, he adopted the attitudes of a royalist Dutchman, and severed all connections with members of his family who were Nazis. Insofar as his politics were concerned, it appeared Queen Wilhelmina had chosen well. There were other causes of concern beyond Bernard's political past, not the least of which was the bridegroom’s tendency toward acts of derring-do. Some analysts speculate that he translated his survival of poor health in childhood as a victory over death. Whatever the case may be, Prince Bernard enjoyed living on the edge of the abyss. He raced, collected and demolished expensive high-powered race cars. Ferraris were his favorites. He crashed two airplanes. In one of his misadventures, he broke his back and fractured ribs. He had at least two extramarital affairs yielding daughters, risky business when your mother-in-law is the queen. He showed no fear in confronting Hitler’s advancing army. When Hitler’s forces invaded the Netherlands, Bernard organized the Palace Guard into a fighting force to shoot at German airplanes with machine guns. He was critical of the queen when she elected to flee to England. He preferred to stay and fight. But, when Hitler’s forces overran the country and German victory seemed inevitable, he escorted his family to England but returned to lead the resistance. When the overwhelmed Dutch defenders surrendered, he escaped to England with a remnant of his men. During the Blitz, Bernard escorted Princess Juliana and their daughters to safety in Canada, but he returned to England to resume the fight. He learned to fly a variety of fighters and bombers and sought a commission with the RAF. At first the English did not trust him quite enough for that, but trained pilots were scarce and eventually they relented. During his days with the RAF, the Prince flew thousands of air miles of missions into occupied Europe under the alias Wing Commander Gibbs. Among his many medals are English campaign ribbons for service in France and Germany. He was an advisor on the Allied War Council, and the military head of the Royal Dutch Army in exile. However, not all of his wartime exploits were in the air. When Prince Bernard expressed a desire to aid the intelligence efforts, the request met with the same reluctance he had experienced earlier. Flying was one thing, but trusting a former member of the S.A. with military secrets was quite another. However, Sir Winston Churchill was reluctant to let a man of such obvious talent and connections go to waste so he ordered him assessed by his famous spymaster, Ian Fleming. 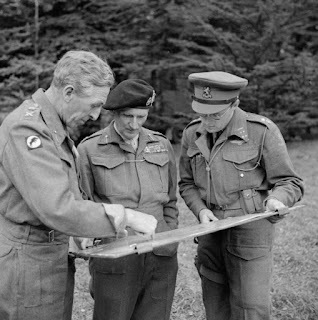 Fleming was impressed and cleared him for work at the highest levels of planning of the Allied Offensive. There are rumors that the suave Fleming and fearless Bernard were combined to give life to the spy James Bond. 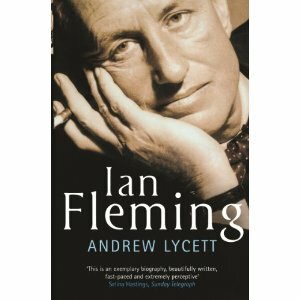 In an article that appeared at the MI6 Community site , Gustav Graves recalled an incident from Andrew Lycett’s biography Ian Fleming, describing a caper of Bernard’s during a dinner with Fleming at the Lincoln Inn. A German bomb exploded, destroying a 200 year old staircase leading to the entrance of the hotel. Bernard descended with great panache to the lowest point and loudly thanked Fleming for ‘a most enjoyable evening,’ as if the incident was an everyday occurrence. Fleming does not report how Bernard made it down to the demolished lobby. Gingerly, I presume. Lycett also notes that according to Fleming, Prince Bernard's cocktail of choice was a martini made with ‘Wodka’ rather than gin, an unusual cocktail made to His Highness's exacting specifications. Bernard served on the Allied War Council and personally led the Dutch forces during the Allied Offensive in the Netherlands. He was present at the negotiations for the Armistice and the surrender of Germany. Throughout the proceedings, he spoke English and Dutch, but not a word of German. He was highly decorated by governments throughout the world, was friendly with Harry S. Truman and a colleague of the usually distant Field Marshall Bernard Montgomery, as seen in the photo below. In spite of post war scandals regarding his financial dealings and a reluctance of some to overlook the affiliations of his youth, he remains a popular hero in the Netherlands and a larger-than-life character of flamboyance and charm to the rest of us--the quintessential sophisticated man of action who took his vodka martinis straight up, always shaken, not stirred, a deviation from the customary martini of which Ian Fleming took note and used. How much else of Commander Bond is borrowed from the Prince is a matter of conjecture? Prince Bernard followed Princess Juliana in death by mere months in 2004 . There is no question that he suffered from an advanced cancer, nor is there any doubt his remaining days were shorten by Princess Juliana's death. I am delighted to have made his acquaintance. There is much more to Prince Bernard Lippe-Biesterfeld’s story after WWII. However, this chapter is the one most appropriate to the timeline and subject matter of the English Historical Fiction Author’s blog. As stated above, both he and Juliana died in 2004. Referring to Juliana as a Princess in this post and not as a queen is not an error. The times mentioned are before she succeeded her mother or after she abdicated in favor of her daughter Queen Beatrix. MI6 Community: The Largely Unknown 'Ian Fleming- Prince Bernhard of the Netherlands' Connection. Linda Fetterly Root is a retired major crimes prosecutor and a historical novelist writing of events in 16th and 17th century Scotland, France and England. She lives in the Morongo Basin area of the California desert with two wooly malamutes, a flock of chickens and assorted wild things. Her books are on Amazon. The skylines of Britain's great cities, London, Manchester, Birmingham, Liverpool, Edinburgh, Glasgow, Cardiff, are dominated by two great architectural styles, which compete with one another for the attention of the visitor: the "Gothic," and the "Classical." Whilst some really significant buildings (Westminster Abbey, York Minster, the Cathedrals of Salisbury, Winchester, Ely and Durham prominent among them) are genuinely Gothic (i.e. Medieval), none are genuinely Classical (i.e. Roman - this is in contrast, say, to France, where significant Roman buildings are still standing). Most of the prominent buildings in British cities are more accurately described as "Neo-Gothic" or "Neo-Classical," and were built in the Seventeenth, Eighteenth and Nineteenth Centuries. 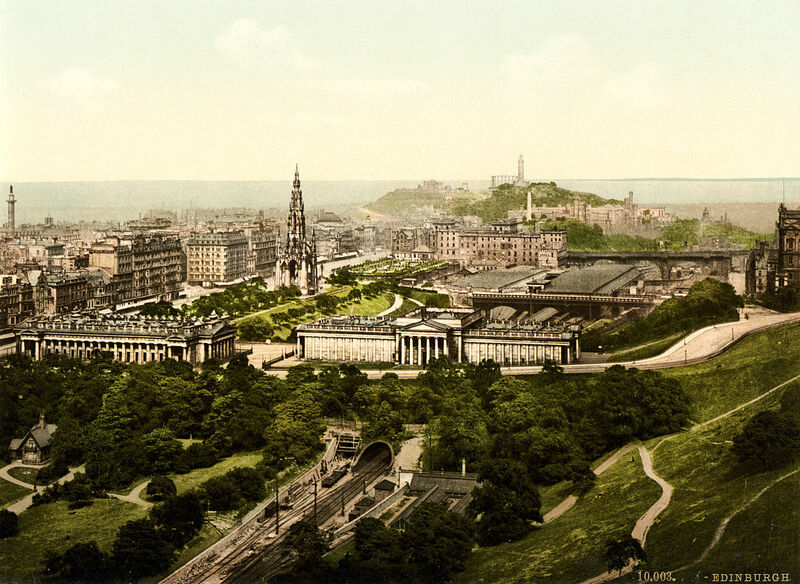 The skyline of Edinburg in c 1895. Photo: Library of Congress (image is in the Public Domain). 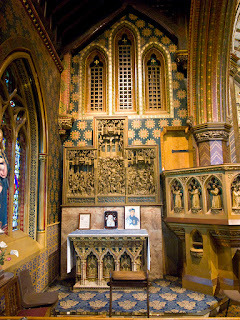 Augustus Welby Northmore Pugin (1812-1852) was one of the leading architects of Victorian Neo-Gothic. 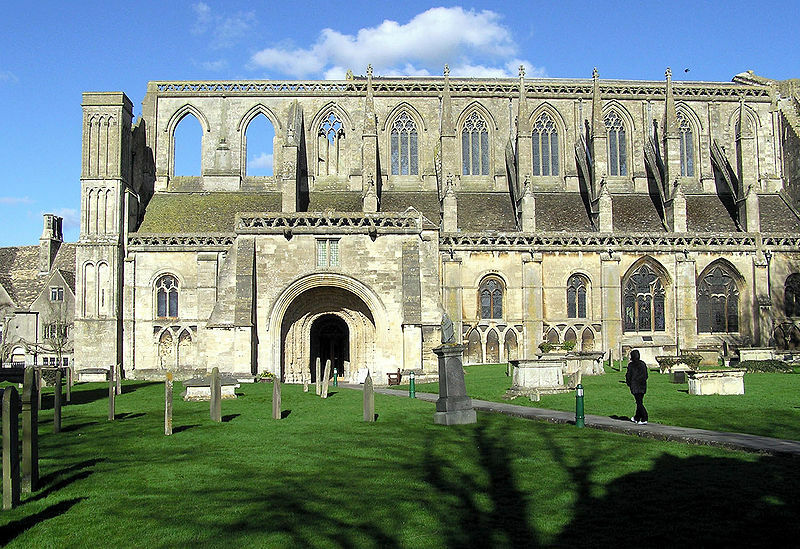 He was not the first British architect of the modern era to look to the Medieval past for inspiration, but he took the attachment to the Gothic world view to a new level, and, in doing so, created some of Britain's most iconic buildings. Augustus Pugin, c 1840. Image: National Portrait Gallery (Public Domain). Pugin's father, A.C. Pugin, himself an architectural illustrator, came to England as a refugee from the French Revolution. As a boy, Augustus traveled through Germany and the Netherlands with his father, helping to survey and sketch the great Gothic churches and cathedrals of the continent. By the age of fifteen, he himself was designing Gothic furniture for Windsor Castle. 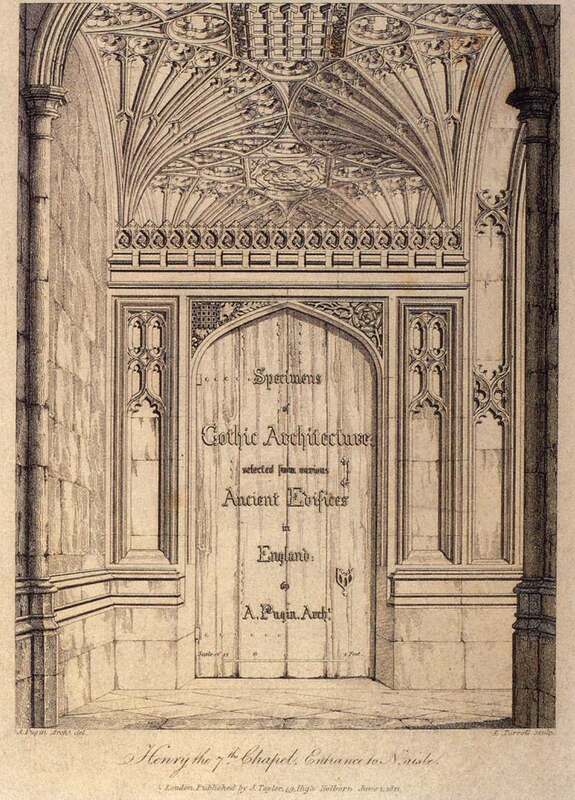 "Specimens of Gothic Architecture," by A.C. Pugin (image is in the Public Domain). Pugin's great break came in 1834, when a fire destroyed the greater part of the Palace of Westminster. A committee was established to commission a replacement, and the contract went to Pugin's collaborator, the architect, Charles Barry. The committee had specified that the new building should be either in the Gothic or the Elizabethan style: the capital already had its share of Neo-Classical buildings - Somerset House, St Paul's Cathedral, the Greenwich Hospital, the British Museum, still under construction - and the style had been discredited by association with the nation's defeated enemy, Napoleon Bonaparte. Britain was not a secular republic, it was argued, but a Christian kingdom, and this identity should be reflected in the nation's most prominent public building. 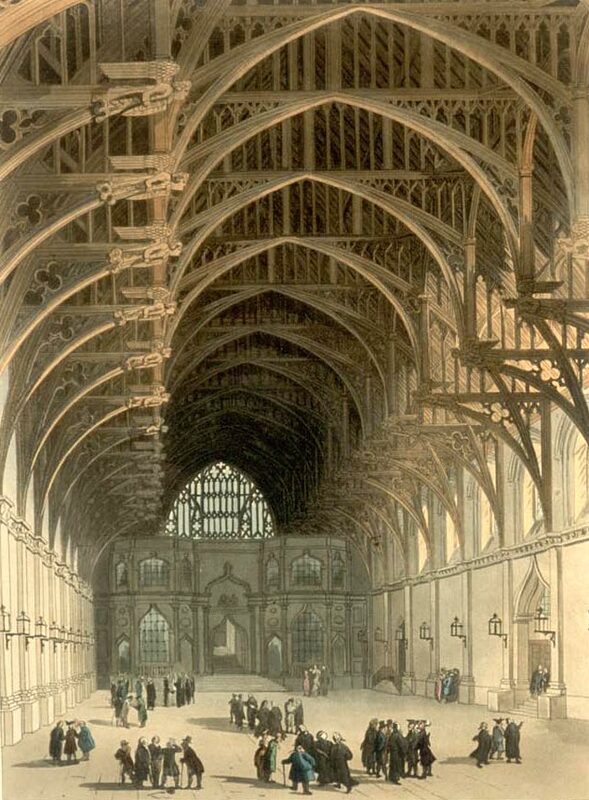 Pugin argued, successfully, for a Neo-Gothic building, not least because one of the few surviving elements of the original Medieval building was Westminster Hall, built during the reign of Richard II. The Medieval Westminster Hall, as depicted by Pugin's father (image is in the Public Domain). Arguments have subsequently raged over which man was responsible for which elements of the building, but it seems likely that, whilst Barry designed the floor-plan and managed the budget, Pugin took responsibility for much of the detail, including the design of what is now referred to officially as the Elizabeth Tower (but, popularly, as "Big Ben" - actually the name of the bell), and almost all the features of the interior. The Palace of Westminster, as designed by Barry & Pugin. Photo: Alvesgaspar (licensed under GNU). 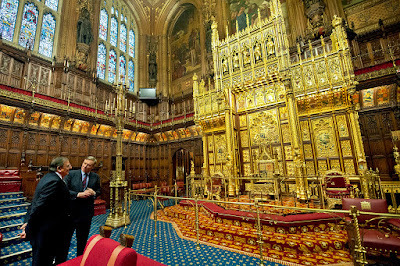 The thrones in the House of Lords, as designed by Pugin. Photo: US Government (image is in the Public Domain). 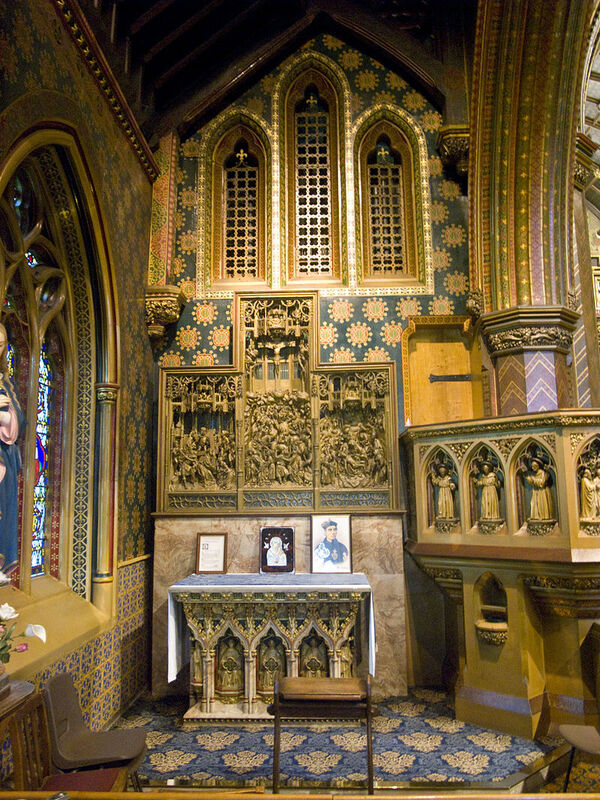 For Pugin, however, the choice of Gothic was not simply an aesthetic, but also a moral, even a religious one. In 1836, he converted to Roman Catholicism, and, in the same year, he published a tract called Contrasts, arguing that the Gothic was the authentic Christian style, which embodied the principles of true religion. Classicism, on the other hand, he saw as rationalistic, atheistic, and ultimately utilitarian, going hand in glove with the tendency to treat human beings merely as means to an end. His tract came with a series of provocative illustrations. 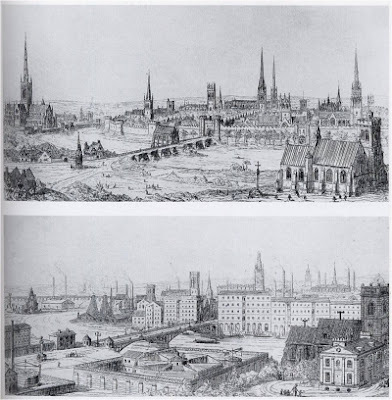 "Contrasted Towns," by Augustus Pugin, showing the supposed contrast between a civilised Medieval town and a dehumanised modern one (image is in the Public Domain). The Medieval image, however, is highly sanitised, with no evidence (for example) for capital punishment or poverty. "Contrasted Residences for the Poor," by Augustus Pugin (image is in the Public Domain). In fact, the "modern" design at the top (a modified, but not a true, "pan-opticon"), though widely used for Victorian prisons, was never used for workhouses; and the corpses of workhouse inmates, though they may have been buried in mass-graves, were never supplied to anatomists. 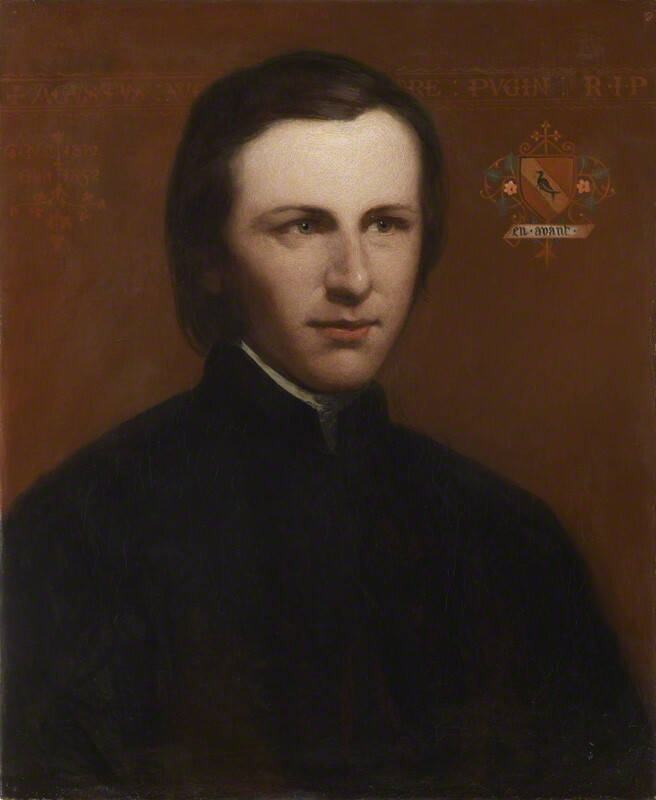 As a refugee, Pugin's father had adopted the Anglican faith to avoid the prejudices that might have prevented him from finding work. During the reign of Queen Victoria, however, Britain became more tolerant of other religious traditions, including Catholicism and Judaism. The Catholic Church re-established a hierarchy of bishops, and new Catholic churches sprang up around the country, largely in response to the influx of Catholic, Irish labourers. Pugin was well-placed to be the architect of preference to the new dioceses, although he sometimes came into conflict with the bishops, both over budgets (like many architects, he didn't like working within them), and over his ultra-traditional views on church architecture. The Roman Catholic Church of St Giles, Cheadle, Staffordshire, designed by Pugin. Photo: Oosoom (licensed under GNU). Pugin did not only design public buildings and churches, however, but also private houses, schools and colleges. Scarisbrick Hall, Lancashire, designed by Pugin as a private home, now a school. 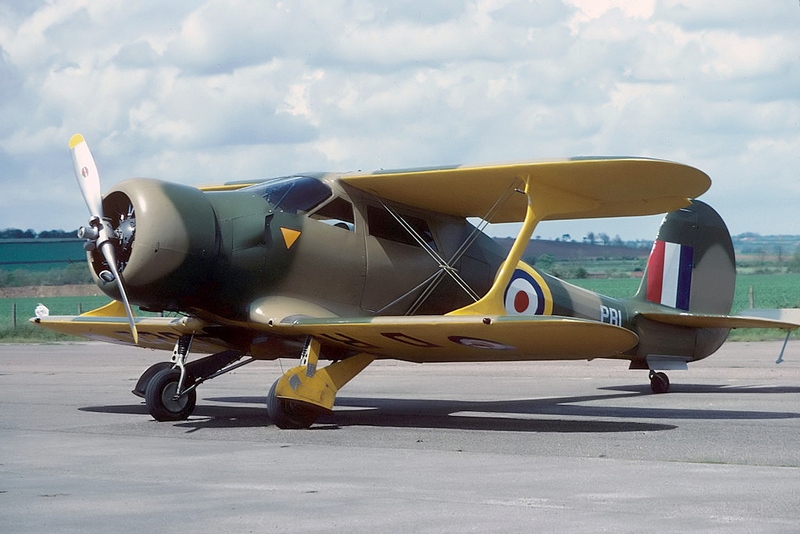 Photo: PC78 (licensed under CCA). 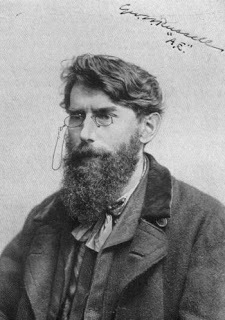 His later years were troubled by apparent mental health difficulties: syphilis and hyperthyroidism have been suggested as possible causes of these, but he had also suffered tragedy in his personal life (his first two wives died young), and he seems to have responded to this by immersing himself in his work, so perhaps exhaustion was also a factor. He would have died in the Bethlehem Hospital had his third wife, Jane, not engineered his release, against medical advice. He died at home in Ramsgate shortly afterwards, at the age of just forty, and is buried nearby, in St Augustine's Church, which he designed himself. Eustache the Monk - Medieval Outlaw or Hero?